Are you thinking of some potholders for your kitchen? Well, this one is a unique quilted pot holder you'll surely love! This project doesn’t take a ton of fabric. A fat quarter of each color should work well to create both pot holders. 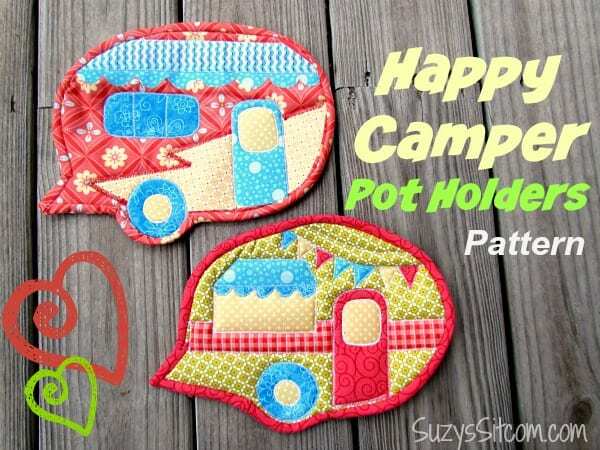 Grabe this quilted pot holder free sewing pattern. Enjoy! Take a look at this Snowman Pot Holder, too! You say that this is a free pattern. the directions are free but not the pattern..
the owner of the pattern wants 4.99 for pattern. This is lovely, BUT when I tried to download the pattern – it just took me back to the same page as I was on before. Where am I going wrong, or is there something else I should be doing please?